A labyrinth is not a maze. While a maze is devised to confound you, a labyrinth leads you into its heart and out again. 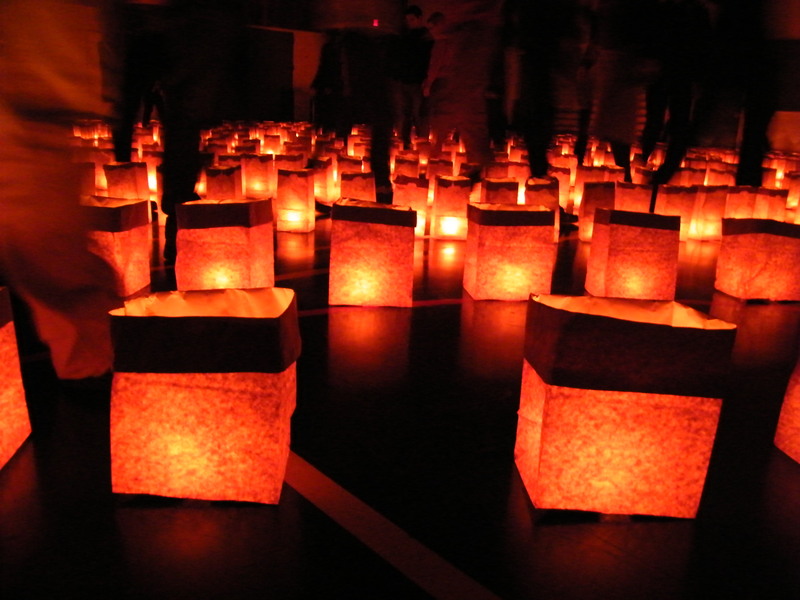 For seventeen years now, The Secret Lantern Society has marked the longest night of the year with its Winter Solstice Lantern Festival. This year, the festival included processions, dances, drumming circles and more across five Vancouver neighbourhoods. 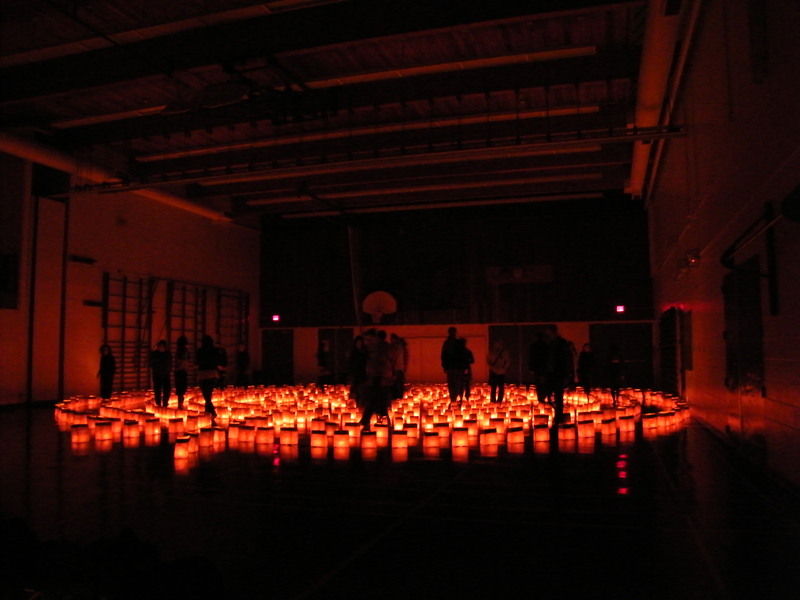 At Britannia Community Centre and The Roundhouse, the Society also hosted Labyrinths of Light, for walking meditation and contemplation. 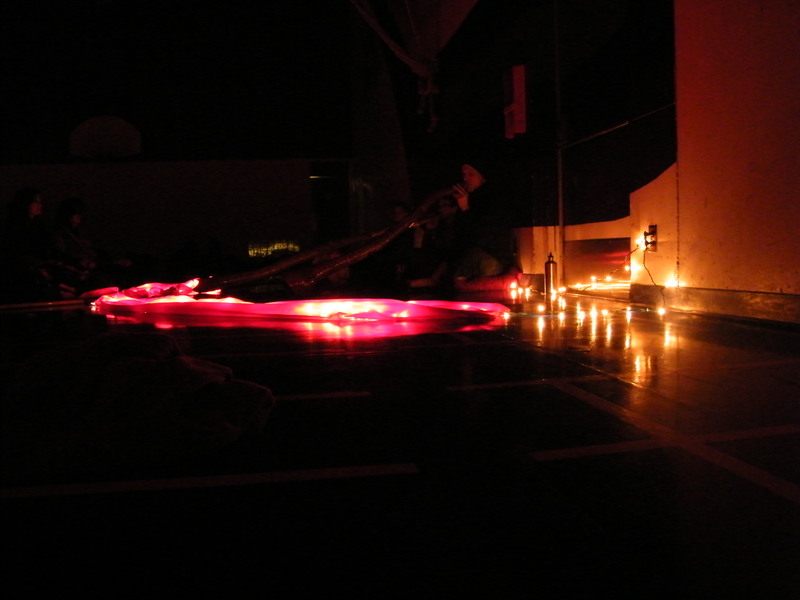 The labyrinth at Britannia was held in a darkened gymnasium. On one side of the room, a stereo played sacred music, including plainsong and Buddhist chants. On the other, didgeridoos sounded quietly. Low benches were set up a short distance from the labyrinth for contemplation. Walking the labyrinth meant negotiating the narrow spaces defined by the paper sacks which held the candles providing most of the room’s light. The way into a labyrinth is also the way out, so polite shuffling became a part of the experience. The design led you far inside and then back to the outer edges of the labyrinth again and again before you truly reached the centre. Then, after some contemplation, it was time to wind slowly out again. 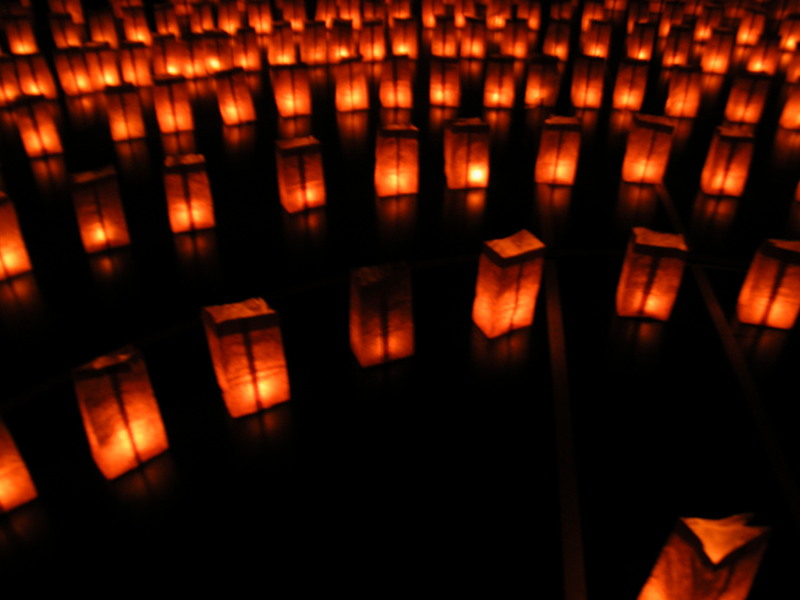 The heat from the candles, the music and the darkness helped to create a solemn atmosphere, but many people moved through the labyrinth with joy and one young woman danced back and forth through its passages. It is a beautiful way to honour the year’s end, acknowledging grief and joy while opening oneself to the new year’s offerings. If you’d like to experience labyrinth walking meditation, the World-Wide Labyrinth Locator can help you find one near you.